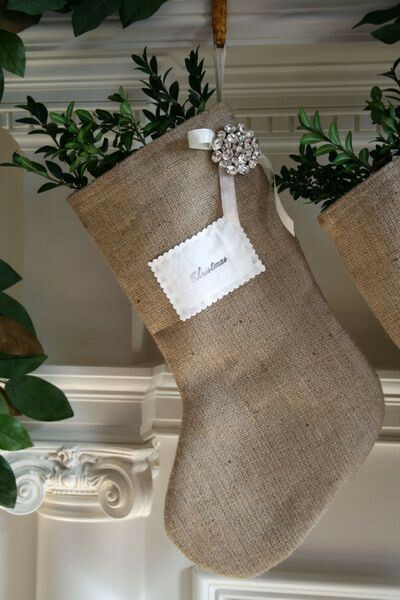 DIY:: burlap stocking with a little bling…love these! Christmas stockings have been a favorite tradition in our family since I was little. I remember Christmases past running to pick out which knee sock I would hang by the fireplace. My earliest memory is filling each other’s stockings with tangerines, walnuts and coins. Later, we each had a special stocking made from crocheted granny squares.